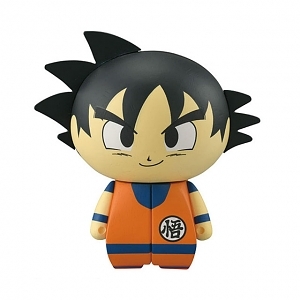 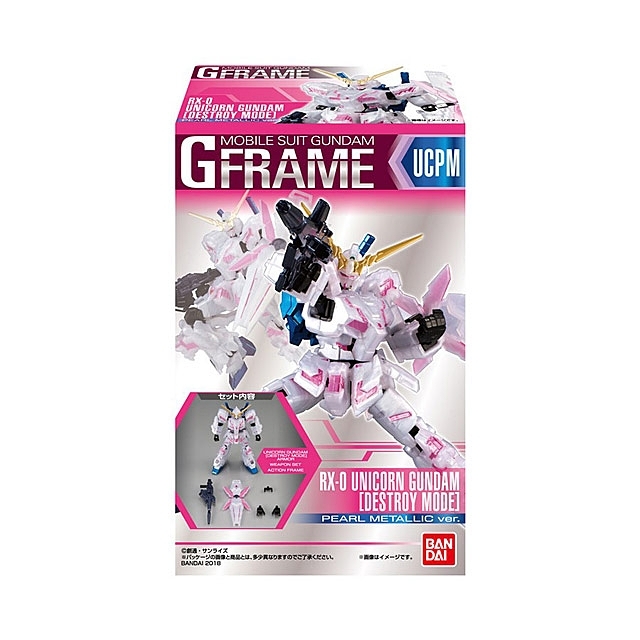 "Mobile Suit Gundam G Frame" is a new series of candy toy that has the beauty of the MS form and the fun of posability. 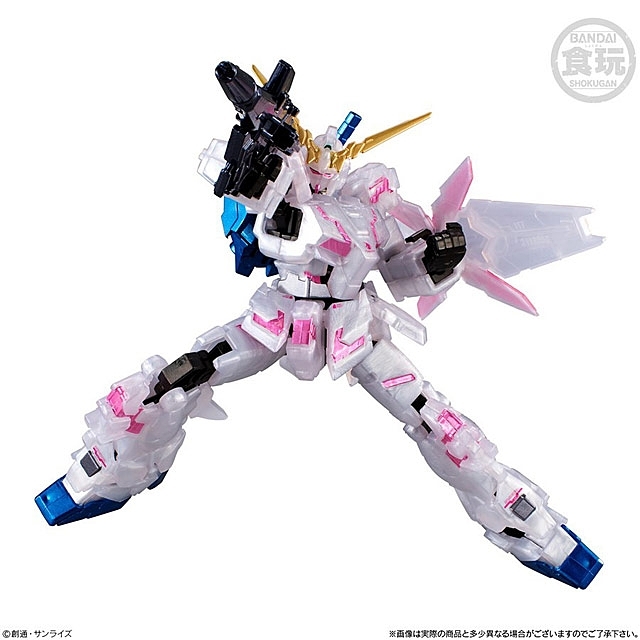 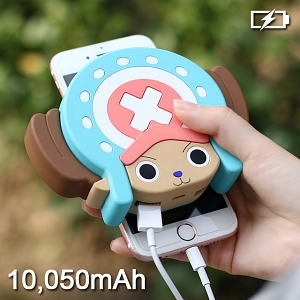 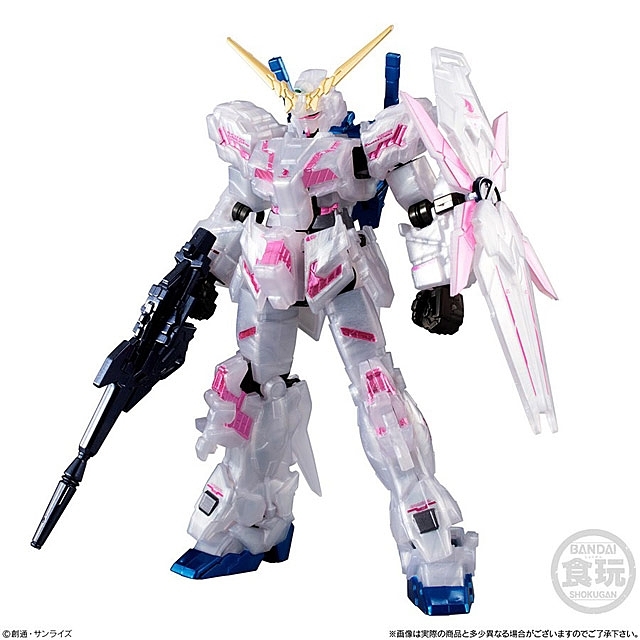 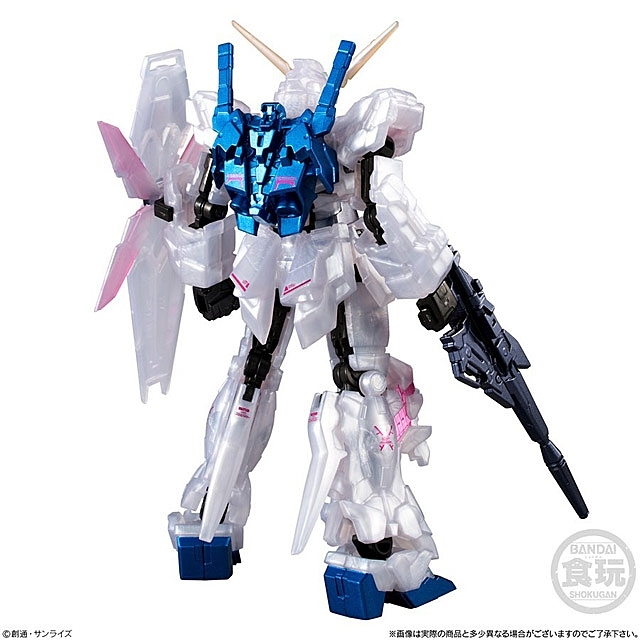 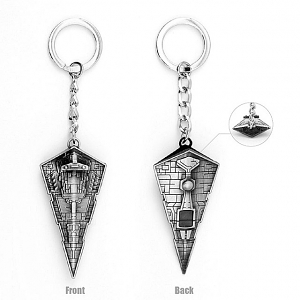 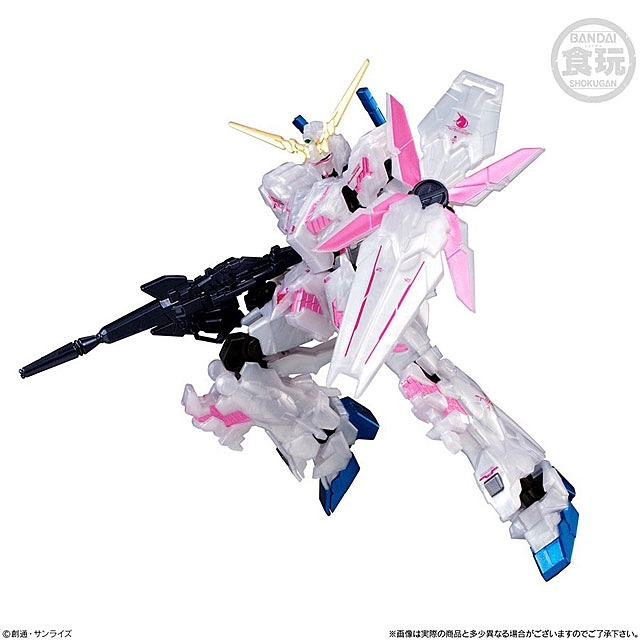 This item has "Unicorn Gundam (Destroy Mode)" in a pearl metallic cast special version. 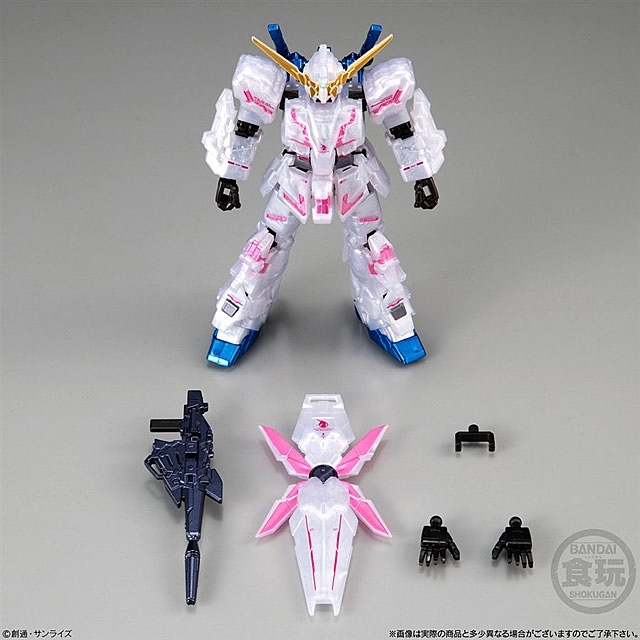 All the painted parts are in metallic paint, and G Frame original markings have been added to the entire body.